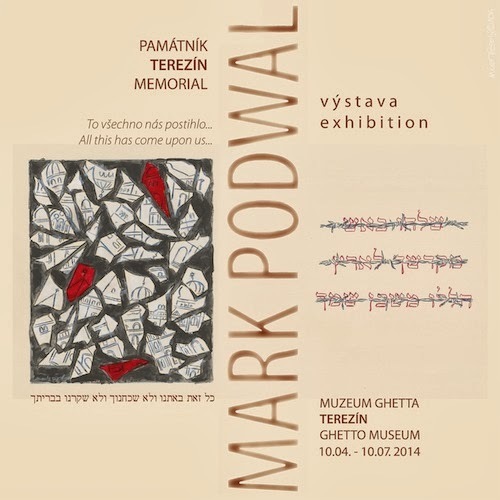 World-renowned artist Mark Podwal will exhibit 42 artworks at the Terezin Ghetto Museum from April 10 till July 10, 2014. The paintings and drawings are a disturbing reminder of how Europe’s extensive history of “Jew-hatred” laid the groundwork for the Holocaust. Among the events depicted are the Crusader massacre in Mainz, the burning of the Talmud in France, the Inquisition, the 1492 Expulsion from Spain, the Venice Ghetto, the Chmelniecki massacres, the Canonist Law of 1827, the 1899 Blood Libel in Polna, Kristallnacht, Terezin, Auschwitz, among others. Given that Jews have long been known as the "People of the Book," each artwork resembles a book’s pages. Page after page illuminates the saying that “Misfortune seldom misses a Jew.” Yet, despite all this, Jews sustained their extraordinary faith in God. The tragedies and injustices pictured in these works are paired with biblical verses, all from Psalms. Czech Television is producing a documentary on Mark Podwal's preparations for his Terezin exhibition. Scenes have already been filmed in Prague, Polna, Auschwitz, Krakow and New York. Featured left: "Terezin", Podwal's attempt to portray both the horror and creativity of Terezin. "For the enemy has persecuted me; he has crushed my life down to the ground". Among the most poignant documents of the Holocaust are poems and drawings by the imprisoned children of the Terezin Concentration Camp. Depicted is their daily misery as well as their hopes. 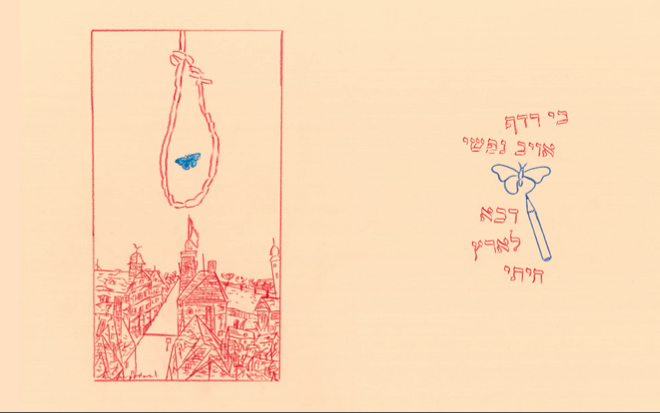 Perhaps the most famous of the poems is “I never saw another butterfly,” by Pavel Friedman who was killed in Auschwitz. Terezin was unique in that it was created to conceal the German genocide of the Jews. This ghetto was the site of a Red Cross Committee delegation visit in 1944, when the real suffering in the camp was hidden. 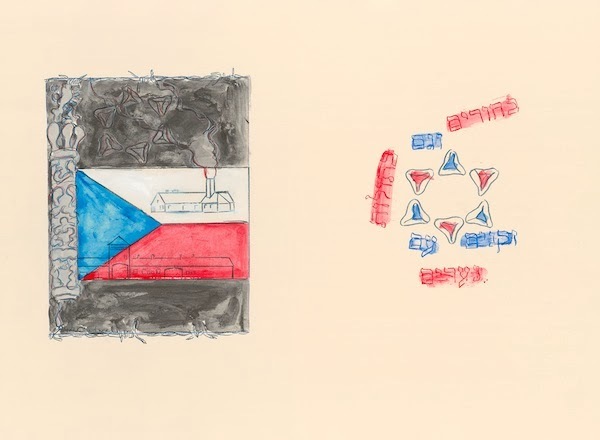 With its many artists and intellectuals, culture flourished in Terezin - together with disease, starvation and constant fear of deportations to the east". The Ghetto Museum opened in 1991 in the building of the former Terezín School. Principova alej 304, CZ – 411 55 Terezín. Young men and women, the old with the children. In September 1943, more than five thousand Jews were deported from Terezin to Auschwitz. Unlike previous transports, they received unusual privileges: they did not undergo the usual selections and families were not divided up into various sections in the camp - hence the “family camp.” On the night of March 8, 1944, the Jewish holiday of Purim, exactly six months after their arrival, the family camp prisoners still living from that bleak September – 3792 persons - were murdered in the gas chambers. The absolute majority of them were Czech Jews. It was the deadliest night during the German occupation of the Czech lands.